NetEase Inc. (ADR) (NASDAQ:NTES) has been TenCent Holdings Ltd. (OTCMKTS:TCEHY). It wants to be JD.Com Inc. (ADR) (NASDAQ:JD). The Chinese company, which once helped develop internet technology there, evolved into a mobile gaming company and, now, is looking to get into e-commerce. When it reported its 2017 and fourth quarter results on Feb. 7, investors were not amused. While the numbers looked good on the surface — quarterly revenues were up 20.7% over the previous year — the mix was different and profits were down 11.7%. The company trumpeted the revenue rise of 41.7% for all of 2017, but going into e-commerce as its mobile gaming niche fades is going to be very costly. It’s like a penguin that comes out of the ocean and starts to waddle on land, cute but not at all the same thing. As a gaming company NetEase was easy for investors to comprehend. NetEase developed massive multiplayer games like the Westward Journey franchise, then evolved into mobile games played on phones. 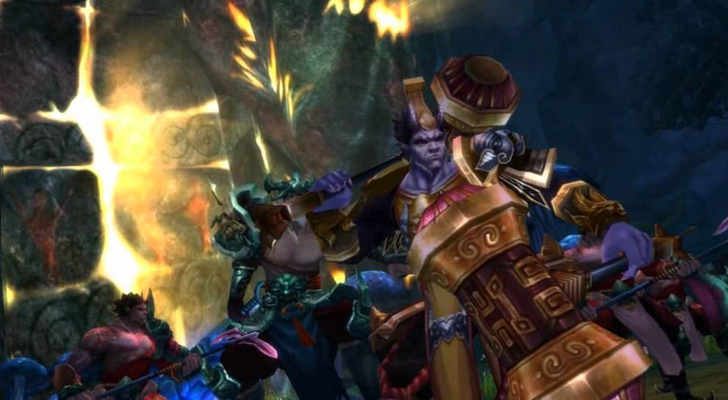 It has also been licensing Activision Blizzard Inc. (NASDAQ:ATVI) games for use in China, like World of Warcraft, and it would seem logical for it to take its Chinese successes to the West. Instead, it has gone all-in with e-commerce sites Kaola.com, which sells western goods in China, and Yanxuan, which designs and sells lifestyle products. The idea is that its gaming audience has grown up and it wants to follow these people into their fashion-forward middle-class lives. But that means hiring a lot of people and holding real goods, not just virtual ones. The moves may make sense, from a Chinese market perspective, but they mean lower margins and higher costs. Net income for the quarter was cut to $197 million, and the stock plunged in after-hours trading by over 5%. Shares that sold at almost $315 each on the morning of Feb. 7 were down to $293 by the following trading day. Investors were warned about the transition and the company has reported it honestly, breaking out its e-commerce, gaming and e-mail numbers for the first time. They don’t make for happy reading. Netease operates at 163.com, the name being an early method for getting online, and CEO Lei Ding (known as William Ding), now 45, is one of the more colorful characters on China’s business scene. The Netease story is his story — starting with raw technology, moving into entertainment, now substantial and selling an e-commerce lifestyle. It’s also possible this may all work. Yanxuan and Kaola are unique sites and their early results are very promising. But retail is not as profitable as gaming. Retailing, even online, requires infrastructure. NetEase’ past success means it has plenty of untapped borrowing capacity, but cash has been draining throughout 2017 and debt has been increasing. Those trends are unlikely to change soon. Analysts have been slow to recognize the implications of Ding’s transition. Only 3 of 30 have moved from the “buy” camp to “hold” in the last three months. The average rating is still “overweight“. If I were Chinese and had easy visibility into how the new sites compare with other e-commerce offerings, I might be very bullish on Netease. As an American, I can only go by the numbers and what I know about how businesses run. Ding is executing a true westward journey, a real-life expedition that is just as perilous, but potentially just as lucrative, as what he executed a decade ago on a video game screen. But if you’re interested in joining, know what you’re in for. This is no game. This is real business. Dana Blankenhorn is a financial and technology journalist. He is the author of the historical mystery romance The Reluctant Detective Travels in Time, available now at the Amazon Kindle store. Write him at [email protected] or follow him on Twitter at @danablankenhorn. As of this writing he owned no shares in companies mentioned in this story. Article printed from InvestorPlace Media, https://investorplace.com/2018/02/westward-journey-netease-not-game/.